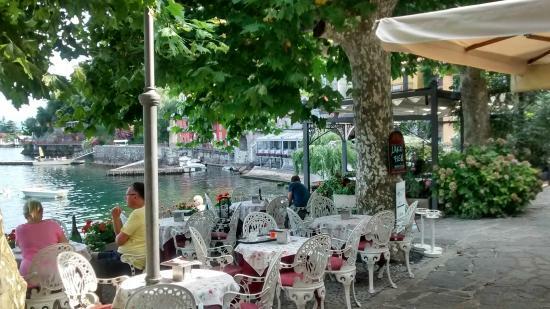 There are many places you can stay in the Lake Como area, however, I strongly recommend the walkable, affordable, warm, and quintessentially Italian town of Varenna as a home base if you're on a budget. To be honest, I'd stay here even if money wasn't an object. It's one of the few places untouched by modern ideas of 'luxury' that I personally don't seek when I'm visiting the Old World. I love the sweeping views, rustic cantinas, hole in the wall cafes, winding cobblestone streets, and warm locals. During our wedding, they embraced us like their own and bent over backwards to provide everyone a positive experience, which I can't say for many places when it comes to a large group of tourists. Ceremonies and receptions can be accessed by water taxi or ferry If the ceremony/reception is in Varenna, Bellagio, Perledo, Villa Balbianello, and potentially Menaggio and Tremezzo, (look at the ferry schedule or arrange water taxis). Celebrations in Lenno can be accessed by taxi or bus. Bellagio, Menaggio, Cernobbio coming soon! Hotel Villa Cipressi was the location for our wedding reception and I could not speak more highly of the grounds, the staff, the food, and the atmosphere. Surrounded by botanic gardens, Hotel Villa Cipressi is right on the shores of Lake Como. It features a gourmet restaurant, rooms with private bathrooms, and an extensive breakfast included in the room rate. We chose the villa for its stunning gardens and location in the heart of Varenna and the rooms are a great value for the location. You'll find that Italian hotel rooms tend to be fairly basic, but they do have hair dryers, wifi, and air conditioning/ceiling fans, and should you choose this as a reception venue, the party is right downstairs. Trust us, you won't spend too much time in the room! You can reserve all 29 rooms at the hotel for your wedding guests at special rates ranging from 150 - 180 euros per night. If you do this, your reception can go until 1 am and you're allowed to have music. A combination of standard and deluxe rooms are available, with or without views.Since there's no venue fee, you could budget booking out the rooms as a replacement so you can get the exclusivity perks (especially since there's always a venue fee in the US!) and whatever rooms you book, just pay the difference! Click here to view Villa Cipressi's different room options. The site of our rehearsal dinner and many lunches and dinners thereafter, Bar il Molo has one of the best views on the waterfront in Varenna. 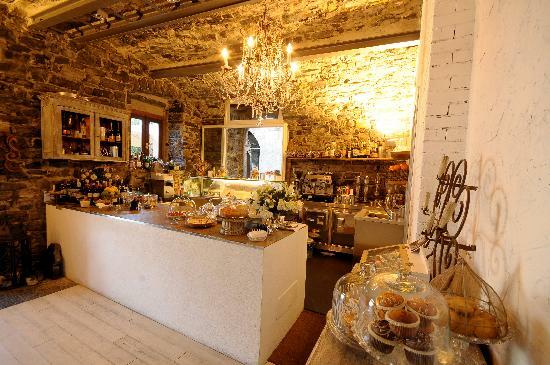 Beyond that, they have delicious salads, pizzas, pastas, a great wine list, and a gelateria. I can't say enough good things about the staff there; they were some of the most accommodating, flexible, and genuine people we came across during our time in Varenna. From the waiters congratulating us outside the church after our ceremony, to the manager ensuring we were covered and warm during an unexpected Friday night rainstorm, it will always be such a special place to me and my guests. Get a waterfront table, a Diavolo pizza, caprese insalata, a carafe of house wine, and prepare to be in heaven. Pro tip: In Varenna, the further removed you get from the waterfront, you'll find the higher end ristorantes and trattorias buried in the town. Il Cavatappi (the corkscrew) is a tiny restaurant in a narrow alleyway that is worth the splurge and the food warrants missing out on the view. When in Lake Como, part with pizza and pastas for at least one meal to try some of the local fish dishes. Il Cavatappi and Ristorante La Vista (in the Albergo Milano hotel) are great upscale restaurants to try some of the more adventurous dishes! Reservation needed. Somewhat of a home base during my wedding weekend, you couldn't walk by Caffe Varenna without seeing the smiling faces of my nearest and dearest, so I may be biased. But I loved the ambiance, waterfront seating option, the caffe lattes, and the most glorious pear & prosciutto dish (that lasted me 3 days the portion was so large). Sometimes when I'm traveling I get tired of dining out for every meal, so I love this casual cafe for a morning pastry and a caffe latte portare via (take away). As I understand it from the owner (in my poor attempts to speak Italian), 'crottos' are river gorges where the conditions are ideal to cure meats throughout Northern Italy. Located on terraces above the river, in what feels deep in the woods (but is off a main road), Crott Del Pepott is some of the best food I've ever had in a very unique location that never disappoints. Hearty Northern Italian food such as ribs, sausage, and polenta, paired with delicious meat and cheese plates, house wine, and homemade deserts. Per person its around 25 Euros for a large helping of meats, sides, cheese, and wine. Everything is made right there on the river by the owner Caesar, the atmosphere is VERY casual yet inexplicably magical while you eat next to waterfalls. Caesar explained to us that to Italians, Crottos are seen as the lowest on the totem poll, under Ristorantes Trattorias, Osterias, Enotecas, etc., so maybe that's why you won't find many tourists there, but if you want something (literally) off the beaten path during your stay, look no further. In Italy, a Cantina is typically a place below ground level where wine, cheeses, cured meats, etc. are stored. Coincidentally, that is exactly how I would describe where I would like to be buried. Can you tell I love a casual rustic eatery? Cantinas are great and an (often) affordable option to try local wine flights in a cozy atmosphere and Cantina Follie in Tremezzo is as charming as it gets. I was determined to have our rehearsal dinner here, but we couldn't figure out the transportation at night (for 70 ppl, you can get a water taxi if you're not a big group). If you want a jaunt to another town, grab a bite here and follow it up with a drink at the glamorous Grand Hotel Tremezzo and you've got yourself a lovely evening. QUESTIONS? COMMENTS? DO YOU WANT TO ADD YOUR RESTAURANT OR HOTEL? CONTACT US!